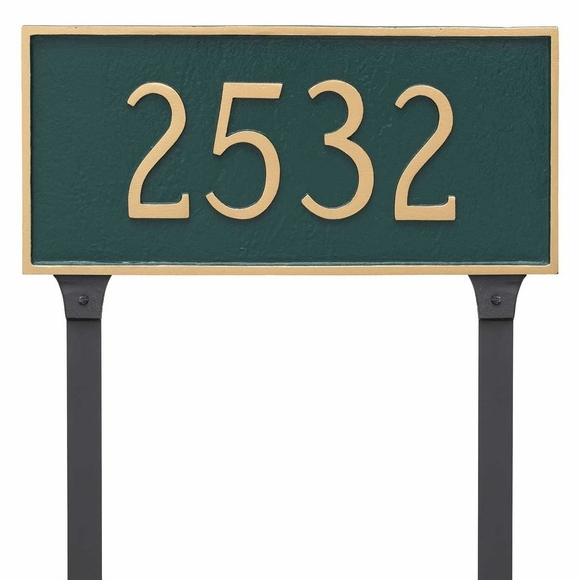 Lawn Mount Address Sign - - personalized rectangle sign comes in three sizes: standard, large, and estate. Lawn mount. Made in USA. Includes two 24" lawn stakes and manufactured with short extensions that attach to the stakes. Personalized rectangle lawn mount address sign. Three sizes: standard, large, and estate. Home address number shown in samples: 2532. Made in USA.